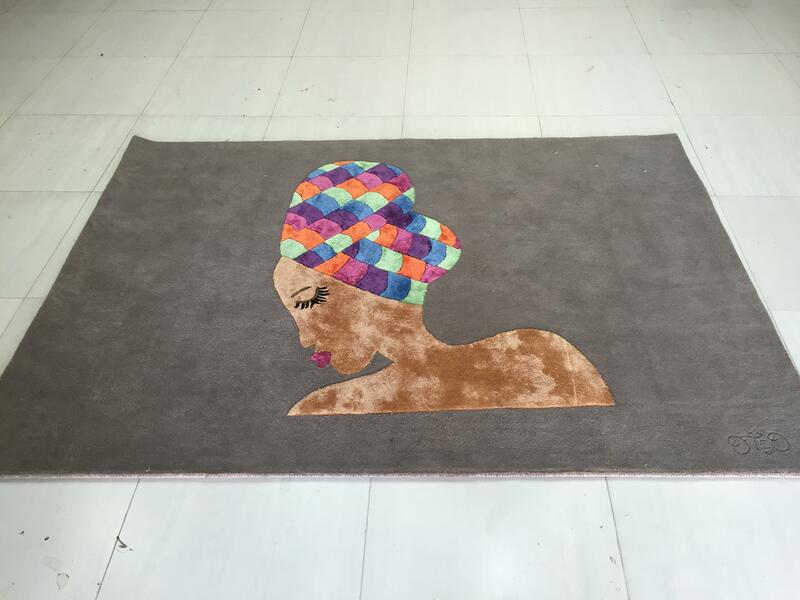 Art doesn’t just belong on the wall – decorate your living room or bedroom with this stunning area rug inspired by African beauty. 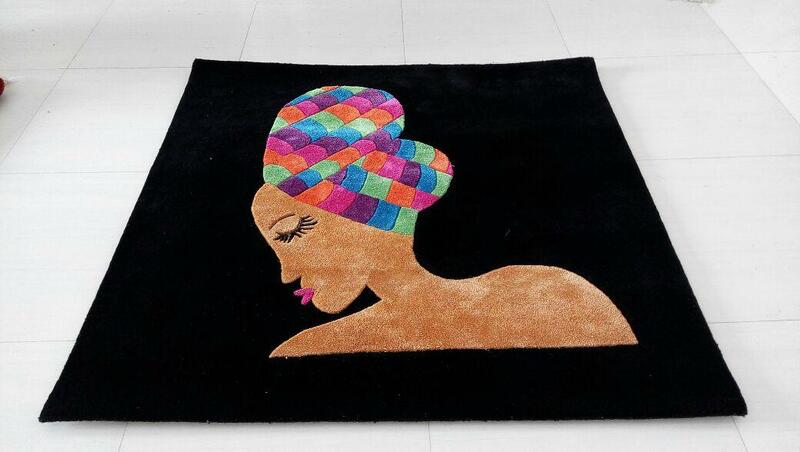 The Headwrap Queen area rug is finely crafted of wool and Indian silk (viscose), and its bold and dazzling design is sure to add sophistication and beauty to any home. Make a statement while celebrating the natural beauty of Africa – the Headwrap Queen is a wonderful addition your home or office. 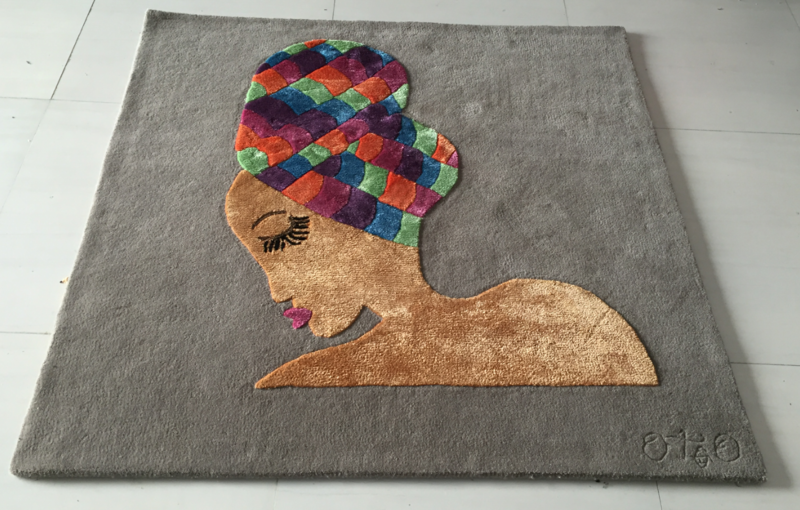 I love my Head Wrap Queen rug! It is very soft with a two-tone texture. The silk and wool texture shows off the uniqueness of this rug and gives it a different feel. My nephews find it amazing and are fascinated by the the colourful head wrap and how soft it is; they are forever asking to sleep on it! This is a must have in every household as it enhances the beauty of your home and gives it a vibrant glow. 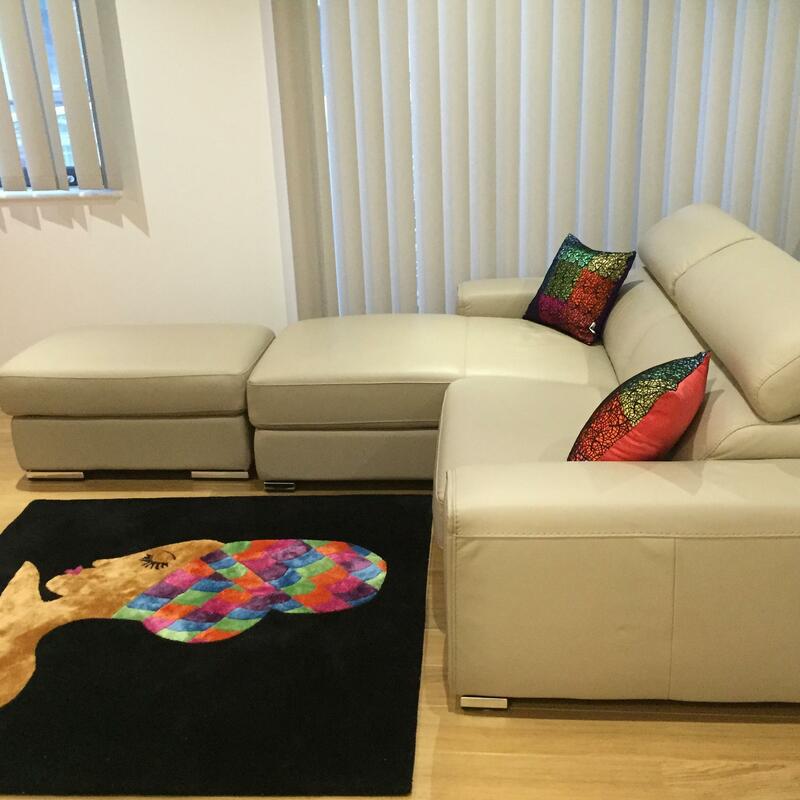 Love my new magic Nubian Rug! So nice!! !